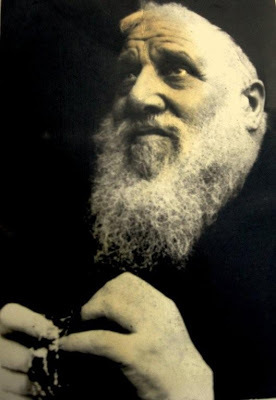 September 17th marks the anniversary of the death of the Holy Capuchin priest of Manoppello–the Servant of God, Padre Domenico da Cese. He was born on March 27, 1905, and was baptized Emidio Petracca, named for St. Emidio (c.279-309 AD), the saint who is invoked for protection in earthquakes. As a nine-year old boy in 1915, young Emidio (later Padre Domenico) predicted the devastating Avenzzano earthquake in Italy. A 6.7 earthquake hit that region the next morning, killing more than 30,000 people, including two of his sisters. He and his father were buried in the rubble of their church as they attended Mass that morning. Like his friend and fellow Capuchin, St. Padre Pio, the humble Padre Domenico was also a mystic and stigmatist who had extraordinary gifts of the Holy Spirit; such as the gift of “reading souls” and bi-location. Penitents who traveled from Manoppello to go to confession with Padre Pio were admonished by him for traveling such a distance when they already had a holy priest in Manoppello. He told them, ” Why did you come all the way here, so far? 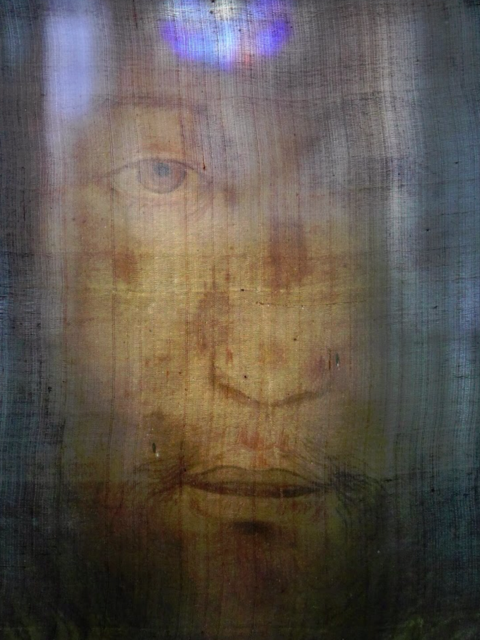 You’ve got a priest there, my spiritual son, he’s like me!” St. Padre Pio’s last documented case of bi-location, just before he died, was before the relic of the Holy Face of Jesus at the shrine of “Il Volto Santo” in Manoppello, where Padre Domenico was the rector. 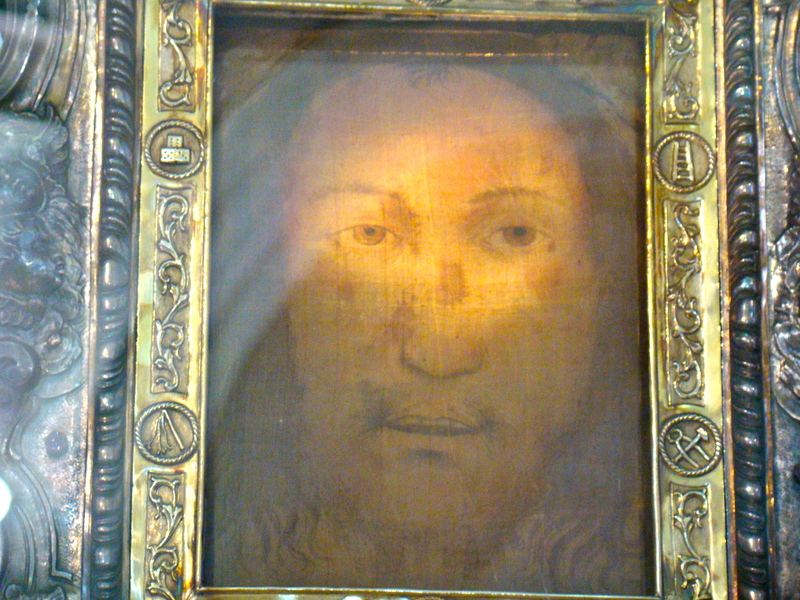 Padre Pio had told his fellow Capuchins that the Holy Face of Manoppello was the greatest relic of the Church. 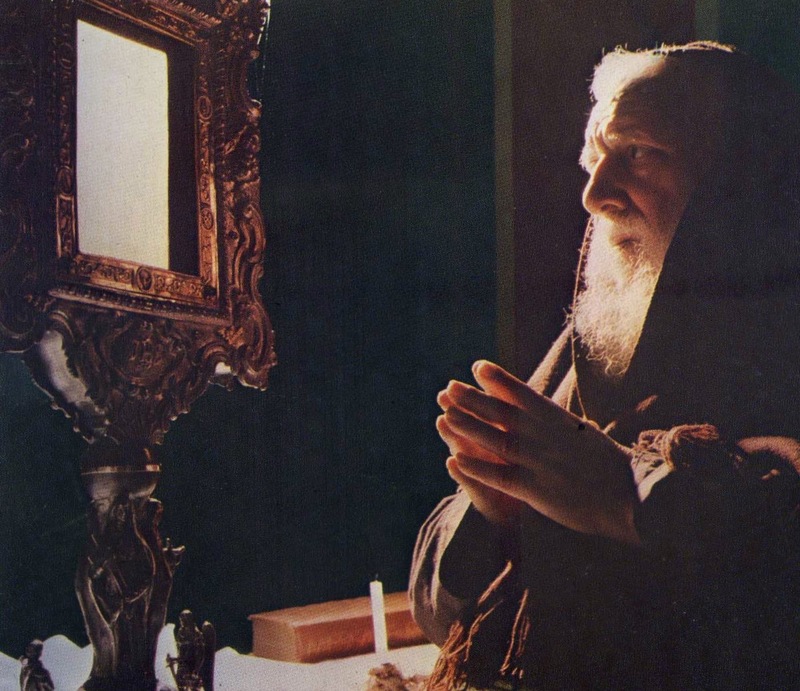 In September of 1968, as Padre Pio lay dying in San Giovanni Rotundo (which is about 200 km south of Manoppello in Italy), his friend Padre Domenico da Cese had just unlocked the doors of the shrine of the Holy Face one morning, and was astounded to find Padre Pio in prayer, in the choir behind the altar before the sacred image of the Face of Jesus. 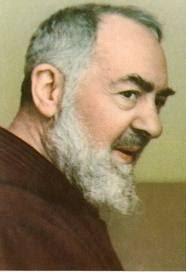 St. Padre Pio spoke then to Padre Domenico saying, “I do not trust myself any more. I am coming to an end. Pray for me. Good-bye until we meet in Paradise.” Twenty-four hours later St. Padre Pio died in his cell in San Giovanni on September 23, 1968. Testimony was later given by witnesses that Padre Domenico da Cese was seen at Padre Pio’s funeral (another case of bi-location). A film was even taken (here) which shows Padre Domenico walking slowly in Padre Pio’s funeral procession, even though Padre Domenico had never left the shrine in Manoppello. 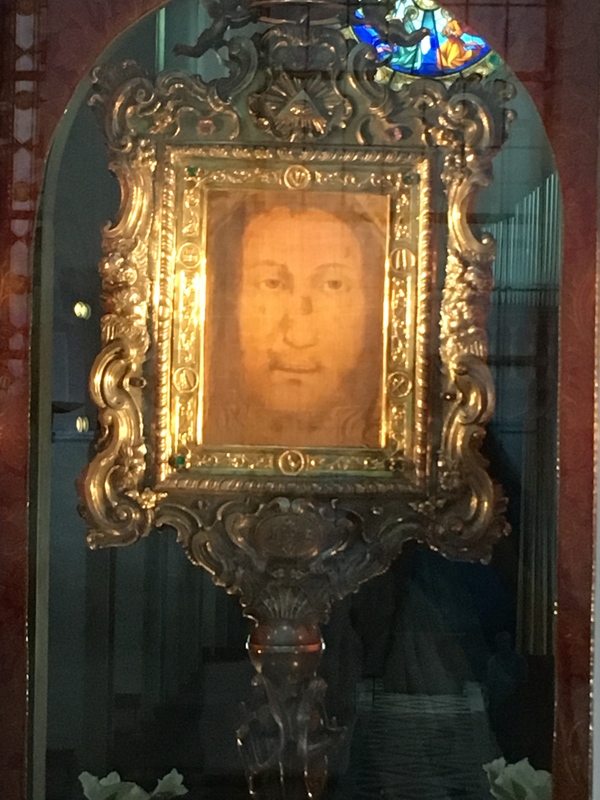 Padre Domenico shared with everyone his ardent love and devotion for the Holy Face of Manoppello, also known as “Il Volto Santo” — a miraculous veil which transmits supernatural beauty, and at the same time indescribable suffering. It is the Face of Mercy, Love and Peace. 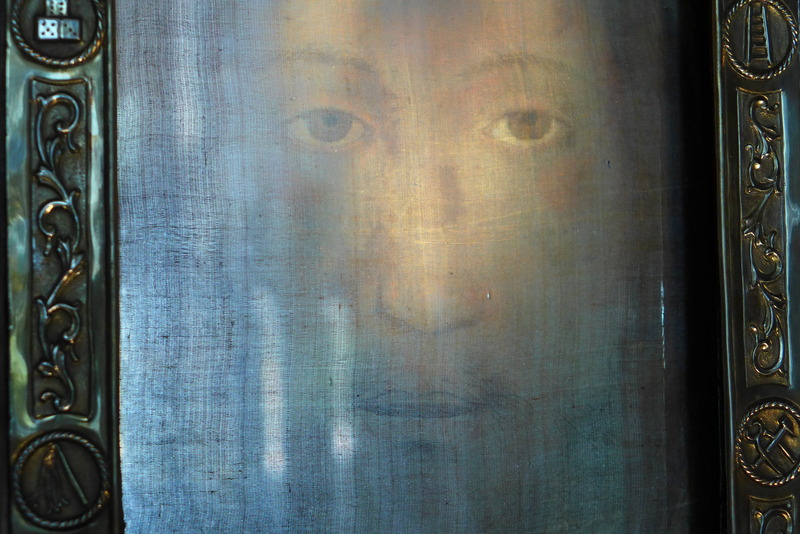 He would tell pilgrims, “This face is that of Jesus, and it is a great miracle, always love him.” Padre Domenico had done much research on the sheer byssus veil, the image of which is not made with any paint or pigment, and compared the iridescent quality of the colors to the wings of butterflies which also reflect iridescent color naturally. 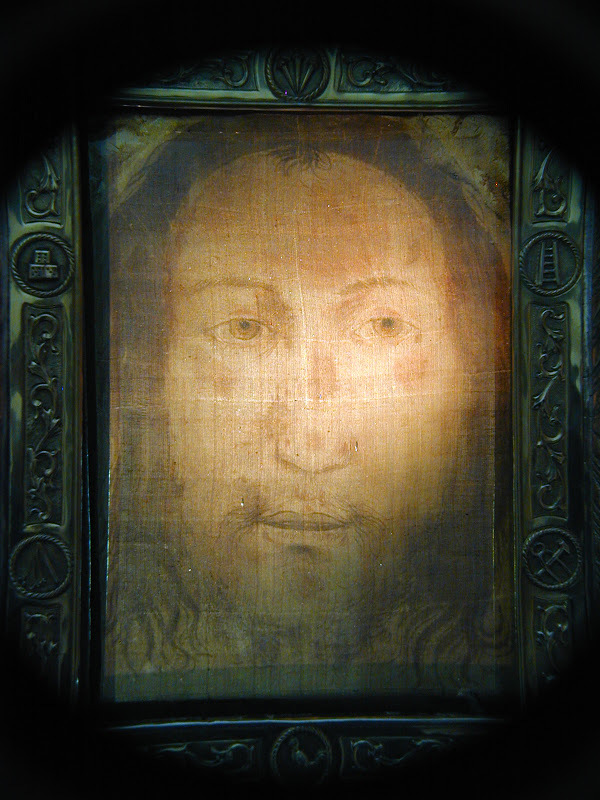 He also made studies of the Face on the Shroud of Turin, and its similarities to the Holy Face of Manoppello. 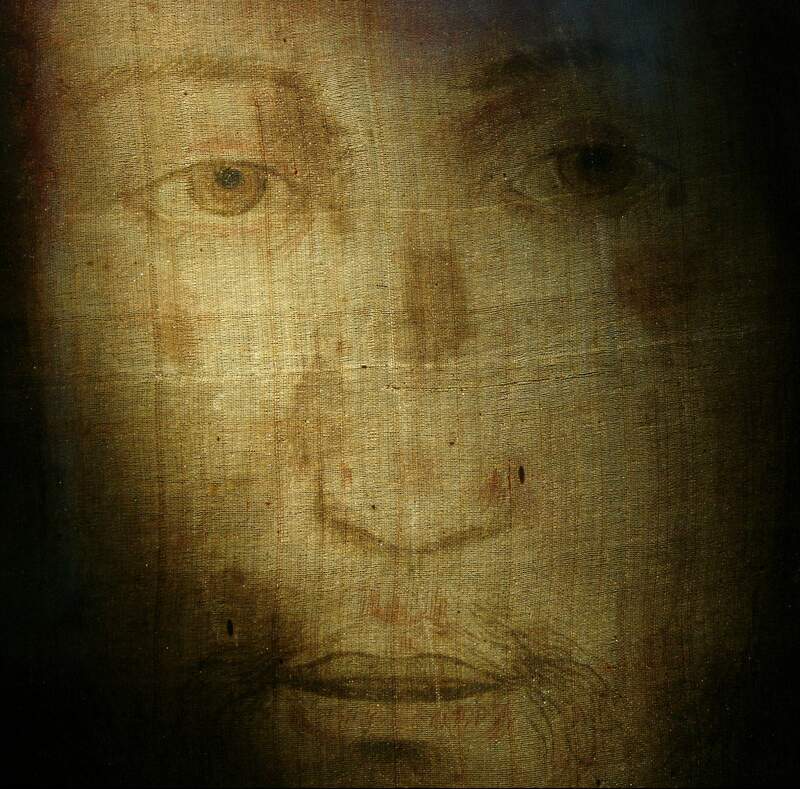 He believed with all his heart that it was the face of the same man, and he was convinced that, like the Shroud of Turin, the Veil of Manoppello was one of the many burial cloths in Jesus’s tomb–the holy sudarium which covered the Face of Jesus in death–and also miraculously bears witness to His Resurrection. In September of 1978 while visiting Turin to venerate the Holy Face on the Shroud during a rare exposition, Padre Domenico, who was a giant of a man, was hit by the smallest car, a Fiat, as he was stepping out into a street. 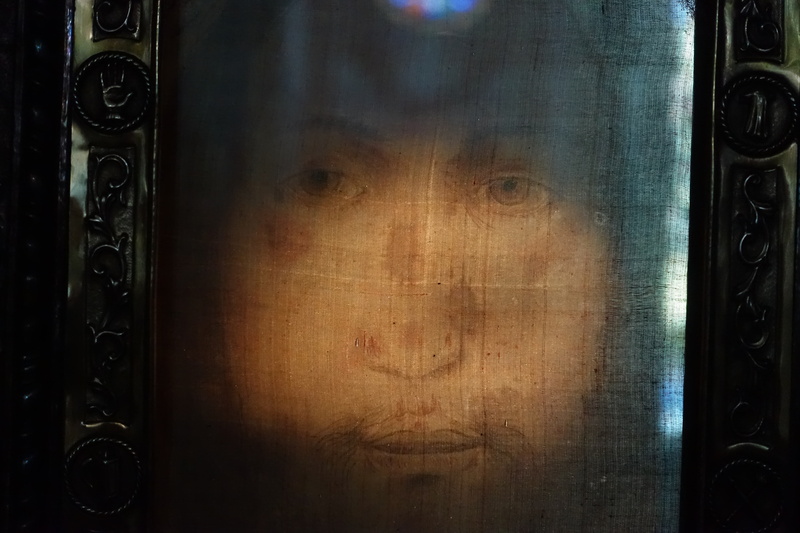 After suffering for several days in a hospital, and forgiving the man who had hit him, he died on September 17th, offering his life for the Holy Face on the Veil–the Face of the man who saved him as a child. To learn more about his incredible life and passionate love for the Holy Face you can watch this wonderful video of his life, “The Long Road of Fr. Domenico, from Cese to Turin” by clicking here. Next Article Who is like God?